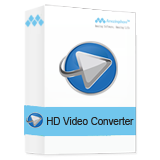 Amazing HD Video Converter 9.9.9 was available as a giveaway on March 24, 2018! Amazing HD Video Converter allows you to convert both SD(standard definition) and HD(high definition) videos with amazing video & sound output quality. SD videos like MPG, MPEG, MP4, M4V, RM, RMVB, WMV, FLV, ASF, AVI, 3GP, 3G2, QT, etc and HD videos like TS, MTS, M2TS, MXF/P2 MXF, HD MP4, HD WMV, QuickTime HD MOV, HD H.264 and more 1080P and 720P HD videos. How would you improve Amazing HD Video Converter 9.9.9? insert a subtitle editor like the one in VPlayer. 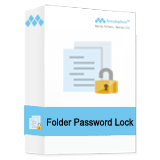 Lock and hide folders and files including Text, Photos, Videos, Documents, Archive files, audio files to avoid modify, delete and rename. 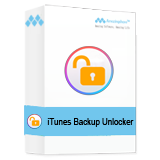 Efficiently and quickly unlock your password-protected iTunes Backups and decrypt iPhone/iPad/iPod backup password easily. Free Media Player software for any Blu-ray/DVD/3D/HD/SD videos, movies and audio files, songs with amazing output quality. 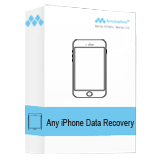 Recover deleted, lost contacts, SMS, Notes, Videos, Photos, etc. from iPhone, iPad and iPod due to accidental deletion and various data loss situations. The version number offered here is 9.9.9. Coincidentally, on 2016-12-24, the same company offered here on GOTD a product with nearly the same name. It was called Amazing Video Converter Ultimate, and its version was 8.8.8. (ref: https://www.giveawayoftheday.com/amazing-video-converter-ultimate-1-6/). GOTD prefaces external URLs, and now the one they used for that offer to the product on the developer's website causes my browser to give a warning: "Oops! The page you’re going to view is related to mature or disturbing materials. Do you want to continue to the page anyway?" The URL is http://links.giveawayoftheday.com/amazing-share.com/video-converter-ultimate.html. The final destination URL does show a page on the same website as today's offer. I'm not sure what is going on there, but I wouldn't want to suggest software by this company, and show someone a link from GOTD to their website. 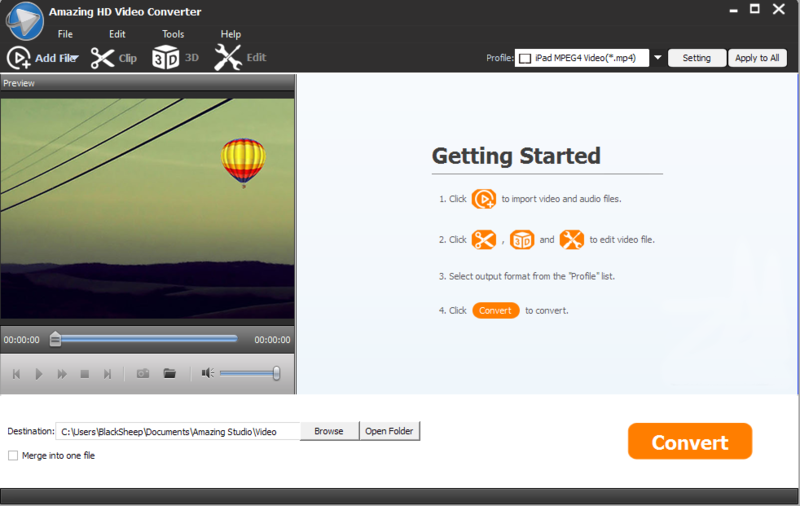 Can you imagine showing your mom how she can get her own software to convert her videos? "Oops, never mind mom; we'll find you something else." Anyway, that product is still in their lineup, along with several other similar offerings as other comments have pointed out. The version number offered here is 9.9.9. Coincidentally, on 2016-12-24, the same company offered here on GOTD a product with nearly the same name. It was called Amazing Video Converter Ultimate, and its version was 8.8.8. (ref: https://www.giveawayoftheday.com/amazing-video-converter-ultimate-1-6/). GOTD prefaces external URLs, and now the one they used for that offer to the product on the developer's website causes my browser to give a warning: "Oops! The page you’re going to view is related to mature or disturbing materials. Do you want to continue to the page anyway?" The URL is http://links.giveawayoftheday.com/amazing-share.com/video-converter-ultimate.html. The final destination URL does show a page on the same website as today's offer. I'm not sure what is going on there, but I wouldn't want to suggest software by this company, and show someone a link from GOTD to their website. Can you imagine showing your mom how she can get her own software to convert her videos? "Oops, never mind mom; we'll find you something else." Anyway, that product is still in their lineup, along with several other similar offerings as other comments have pointed out. It's ridiculous that a converter would be 70 dollars in the first place. There are plenty of online converters that work and do not take up useless space on your computer. kui_, to add to that and the rebrand, i noticed a mistake in the GUI, the settings button for the selected video profile top right still has the label slapped over the icon, which may be due to bad porting or adaption or just a mistake, Shining Video Converter uses the same skin but with different colors and icons, so i played a bit around. If you grab the cfg\skin\BlueOne.rcc file from it, rename it to Grayish.rcc and replace the one that is in this giveaway version, then you have a new skin to work with. You can use InnoExtractor to unpack the setup if you don't wanna install.